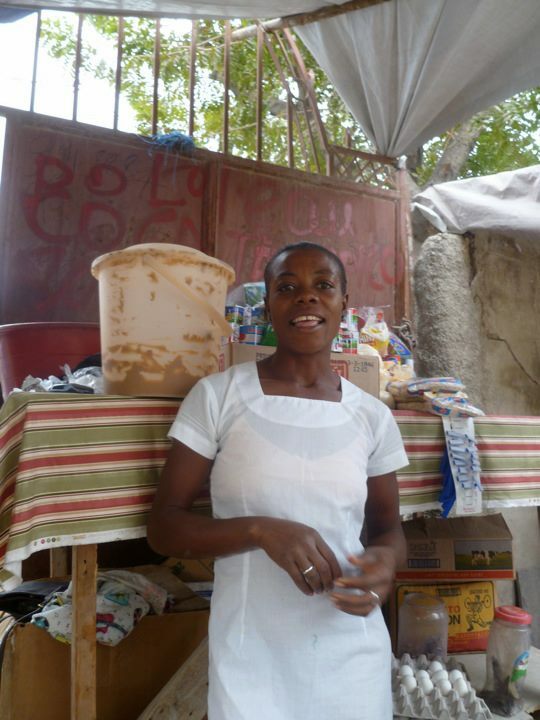 A few weeks ago, Pom and Hen headed down to Haiti to visit Sister Hazel and returned with liters of homemade Haitian peanut butter. It is the best peanut butter on earth, if you ask me. 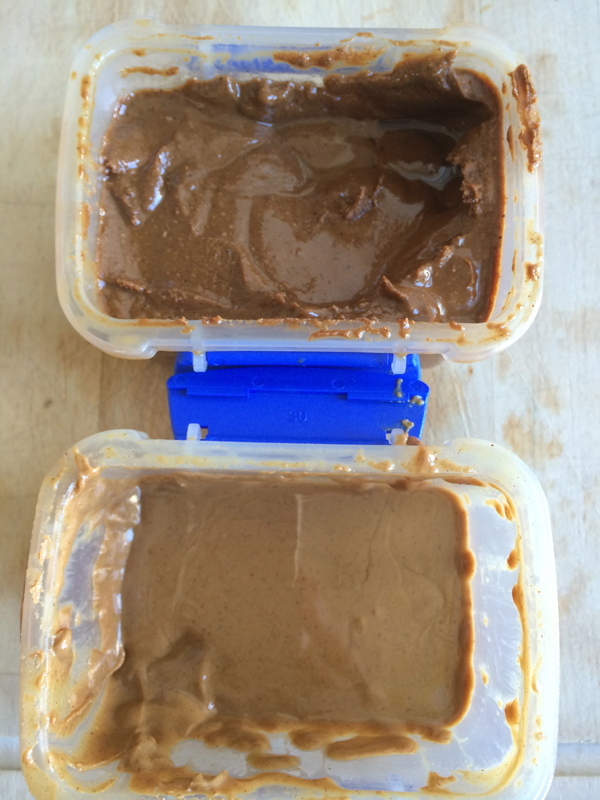 Pom thoughtfully sent me two containers – one made by Gerline and one by Lelen – both friends of Hazel’s. 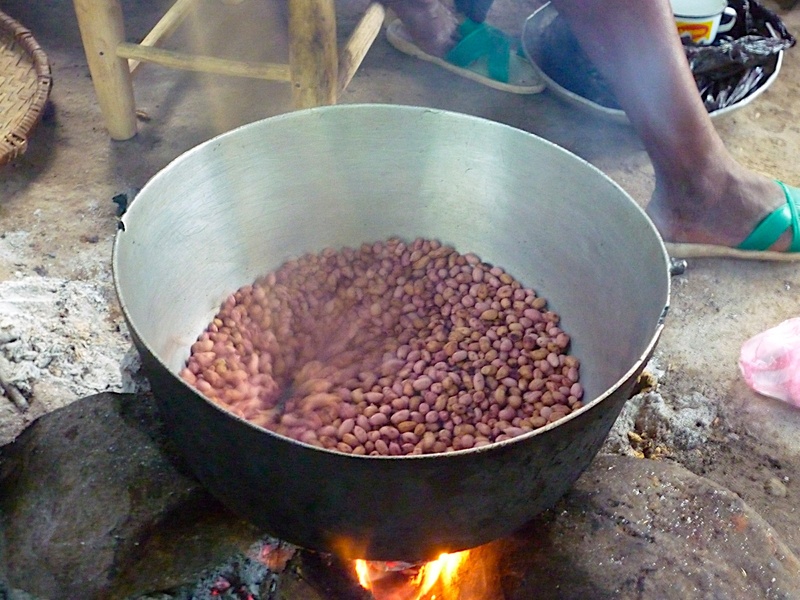 Gerline (in the photo above) deeply roasts her peanuts, so the color and flavor is toasty. Lelen lightly roasts her peanuts and adds cinnamon and hot peppers, so its got kick. According to Hazel, who is now somewhat of a Haitian PB expert, the first step to delicious peanut butter is knowing how to roast the nuts. Gerline uses a motor-powered mill. I don’t have a photo of her mill, but it’s just like Rowan’s mill seen here. 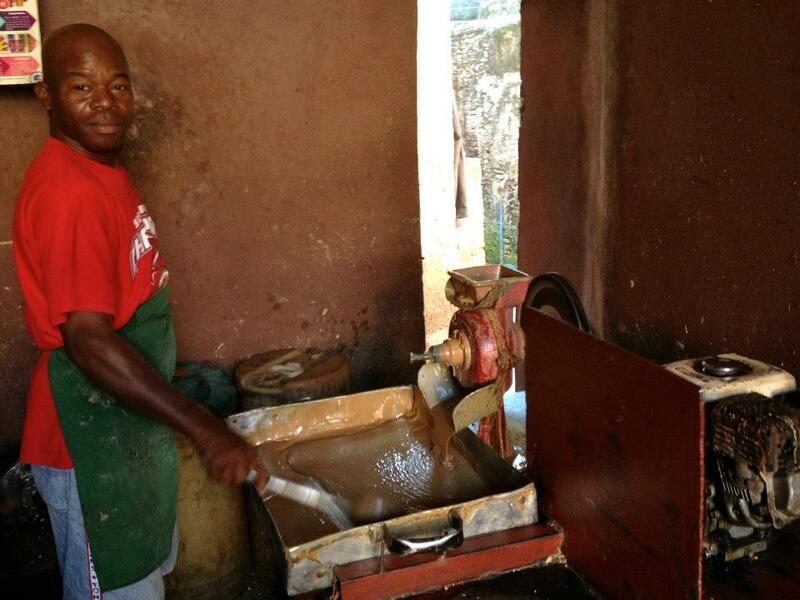 Apparently he makes the best peanut butter in Cap-Haitien (a city on the north coast of Haiti), but it’s still not as good as Gerline’s. 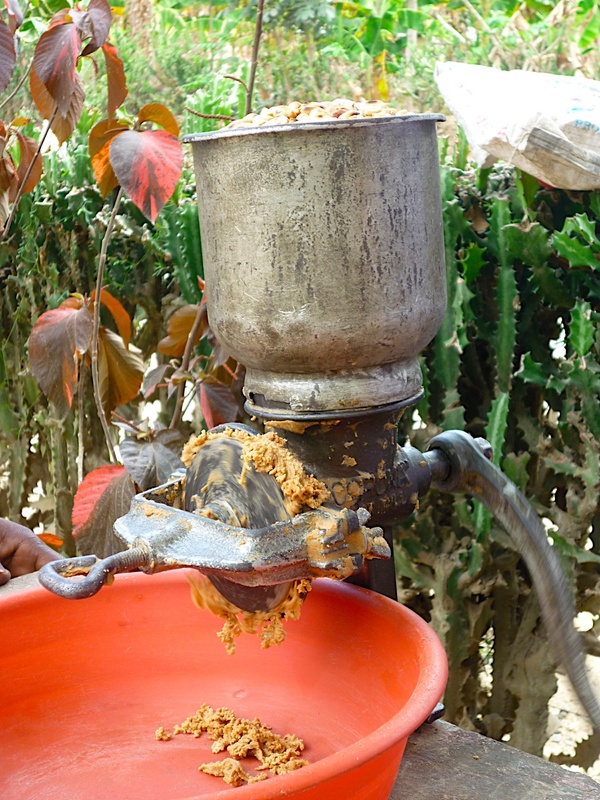 Most Haitians use a hand-crank mill, which is very labor intensive because it takes a long time to get the correct consistency. I woke up the other morning feeling inspired to put a dent in the peanut butter that Pom sent. I made coffee. I pondered my options. 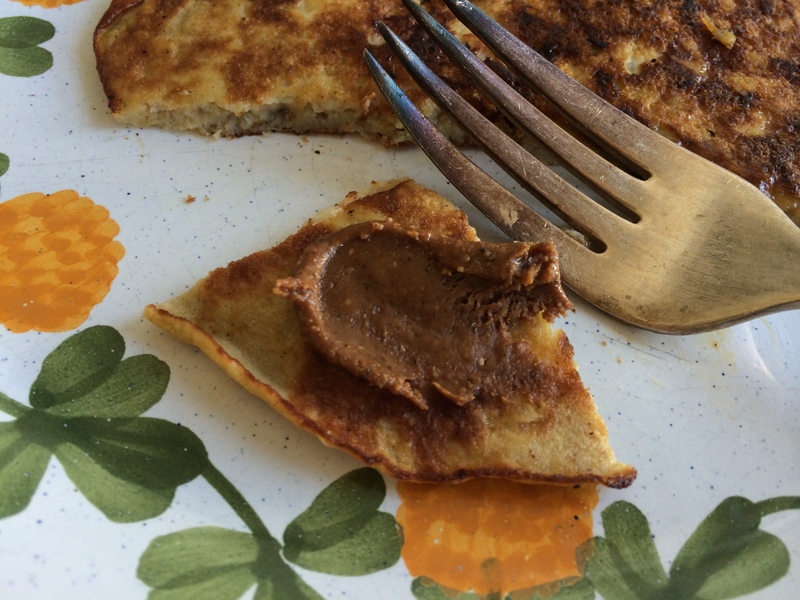 I love peeling a banana and applying a swoosh of peanut butter after each bite until only the peel remains, but on this particular morning I actually had time to cook. I felt like I had no choice but to make the pancakes in an effort to get the song out of my head. So I cooked. And I sang. As a general rule, I don’t really like pancakes unless they’re of the Swedish variety, so these are a bit of a revelation for me. They are custard-y and light, nothing cake-y about them. These banana pancakes are worth having Jack stuck in my head on repeat. 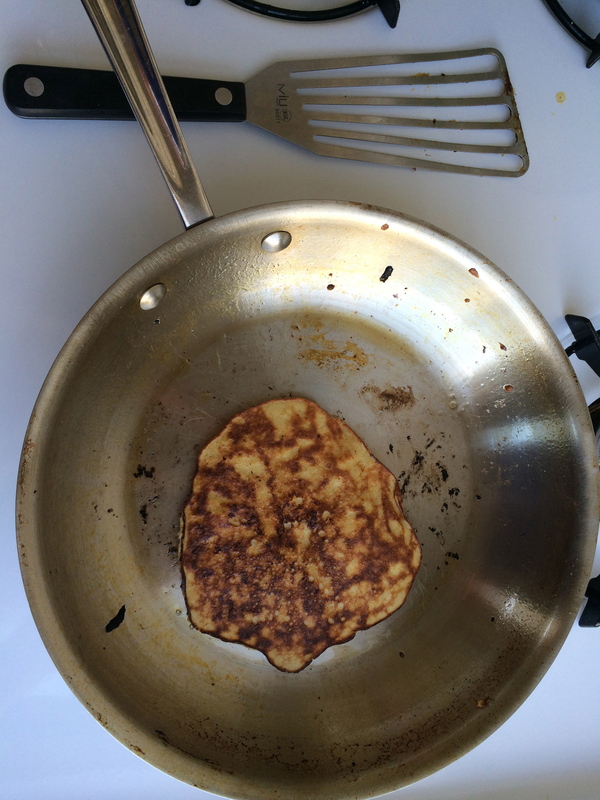 You can find many a blog post featuring these hot cakes online when you Google “two ingredient banana pancakes.” I tinkered a bit with the recipe, adding baking powder, cinnamon and salt to the bananas and eggs. Still, so simple. You can eat them plain or with blueberries and maple syrup, but they’re elevated to ethereal breakfast heights with a swoop of peanut butter on top. Peel the bananas and mash with a fork. Whip eggs in a bowl and mix together with the mashed bananas. Add cinnamon, baking powder and salt and mix to combine. Heat coconut oil in a frying pan over medium heat. Pour about a 1/3 cup of pancake batter into the pan cook until golden brown on the underside (about one minute), then flip and cook for another 30 seconds or so. Repeat until batter is gone. Serve with peanut butter, fresh berries and good coffee. way to do manmba justice. i love these pics. will show the post to Gerline later today or tomorrow. bon apetit!